Parents in a public Montessori elementary program will often ask their child’s teacher how they know what they know about their students. In the absence of regular quizzes and tests, many wonder where in the day teachers actually assess their students and plan for next steps. The answer is always! In a Montessori environment the teacher works in concert with the children to drive the curriculum. While we naturally follow a rich scope and sequence for teaching across the content areas, we are also constantly assessing to see: (1) if the content is resonating with each child, and how; (2) where each child’s own interests reside and how to support this self-discovery; and, (3) in what other ways content can be shared with children so that learners of all styles can find meaning in their work. This process of Scientific Observation is the cornerstone of assessment in a Montessori environment. We also collect data in more familiar ways: reception to lessons, follow-up work, and from on-going portfolio development derived from teacher-led presentations and self-directed student explorations. 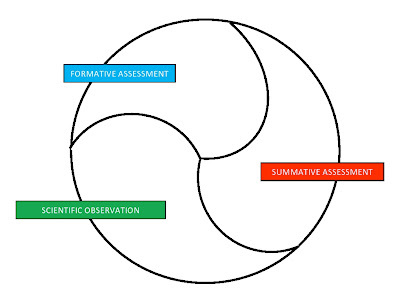 This is Formative Assessment, progress monitoring along the way to check for mastery and understanding. At year’s end we look to large cumulative projects, ones that demand skill from multiple content areas, to show us how children are connecting the many concepts woven together in the curriculum. 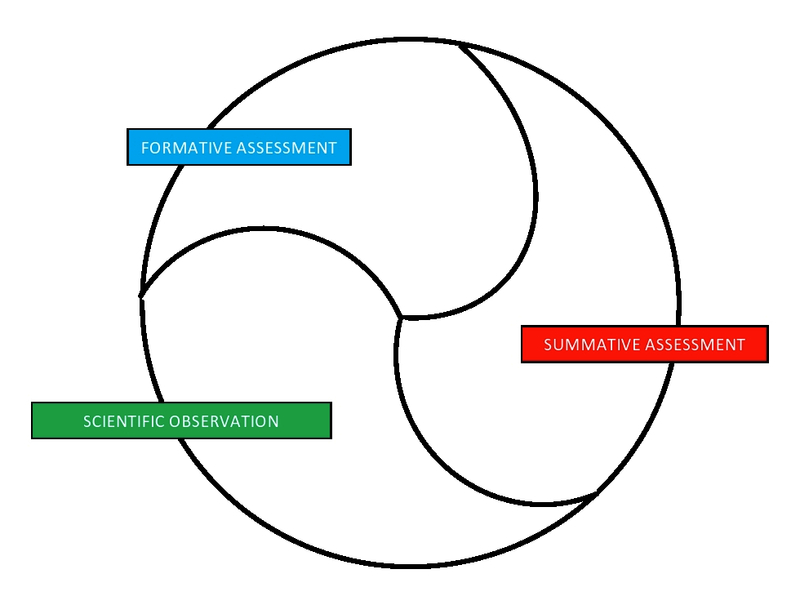 Such Summative Assessment gives us a measure of a child’s growth through the year. In public schools, students also sit for the annual state exam, the results of which tell us how our students’ demonstrated test-knowledge compares to their peers statewide. These scores, however, need to be tempered by the fact that in a Montessori environment we “follow the child”; that is, we teach them concepts when they are ready, not because it’s on the calendar. The Montessori teacher is an artist - trained in noticing the cognitive, emotional, social, and behavioral needs of children. We are constantly assessing a child's position along her/his own arc of educational understanding, and adjusting our practices to best meet them when they’re ready to learn.